The Boston Pipers Society website is a place where you can get information on Professional and Semi Professional pipers in the New England area. The information presented includes availability, biographies, photographs, references, tune lists, plus sound files in many cases. All of this information is presented so that you may make an informed choice of musician. The site also includes an explanation of the various grades in piping, and some helpful tips on how to find the best piper for your particular occasion. 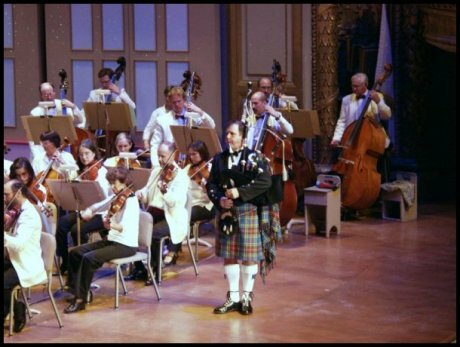 The Boston Pipers Society was founded in 1996. The founding members were Iain Massie, Doug Cals, Tom Childs, Rob Eagan, Donald Munro, Ned Rhinelander, Randy Woodrick and the late Giovanni Ferro. In 1997 the Boston Pipers Society became the backbone of the grade 2 Worcester Kiltie Pipe Band. The band competed very successfully until 2001. In that year the band won every EUSBPA contest it entered. Unfortunately due to personnel issues the band stopped competing in grade 2 that year. However we did end that chapter on a high note. The society members still play together often and is open to quality members from all areas. In order to be considered for membership, you must be at least a grade 3 solo competitive piper or equivalent. In recent years, the society has welcomed Derek Davidson and Joe Lennerton to its ranks. We begin now with Iain Massie, the Boston Pipers Society's Pipe-Major. 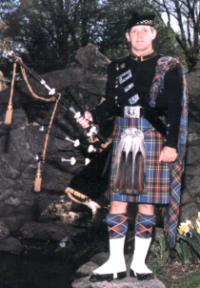 Iain is originally from Scotland and has been playing the bagpipes since the age of eight. To learn more about him, please use the navigational buttons to the left. 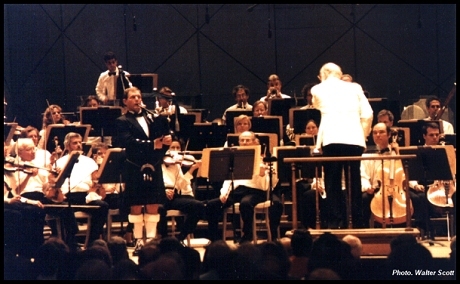 Iain performing "An Orkney Wedding, with Sunrise" with the Boston Symphony Orchestra at Tanglewood, August 2003. John Williams conducting. 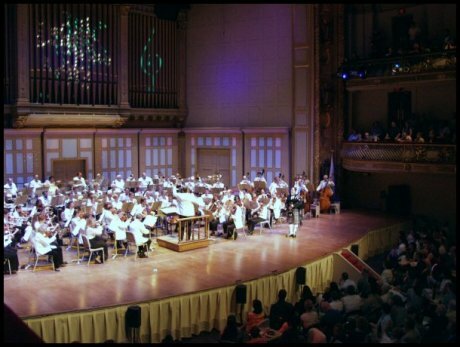 Iain performing with the Boston Pops at Symphony Hall, Boston, June 2003. Bruce Hangen conducting. Care to link up to us? Choose one of the buttons above! Some galleries require a MP3 Player &/or a PDF Viewer. You can download these tools for free via the 3 links above! followed by Netscape. Both browsers are available for download via their logos. are the property of Iain Massie, website owner, and are not to be copied. Copyright � 2001 - 2003, Iain Massie. All Rights Reserved.